M.J. Fievre is the author of the new book A Sky the Color of Chaos, which is based on her childhood in Haiti. She also edited the anthology So Spoke the Earth. She has written nine books in French, and has taught writing at Broward College and Miami Dade College. She is based in South Florida. 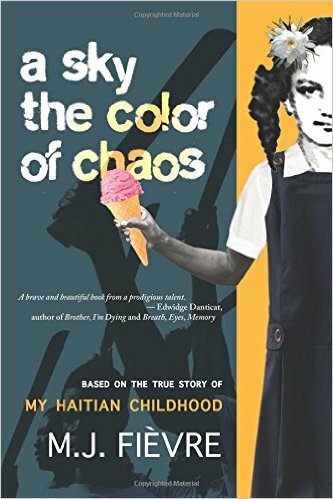 Q: You describe your book on its cover as “based on the true story of my Haitian childhood.” Would you call it a memoir, or is it partly fictionalized? A: Until I wrote this memoir, I never told those things that most Haitian women never tell—those terrible, awful, intimate memories. As a Haitian woman, I’m expected to stay silent about whatever embarrassing things happened to me. There are some chapters in A Sky the Color of Chaos that I almost deleted (my legs shook and I felt like a failure) because I thought the events they revealed were too humiliating, embarrassing, and shameful to share with anybody—particularly because these events also involved other people. I considered combining some other characters as well, but it felt like cheating because these characters were un-interchangeable. At some point, Sister Bernadette and Madame Lemoine almost became one, but it felt wrong, particularly because the chapter dedicated to Madame Lemoine became a sort of homage—an ode—to her memory. It’s okay, I believe, to combine minor characters in order to improve the craft, but I think any ethical writer will agree that it becomes shady business when one tries the same with characters who are larger than life. Q: How did you come up with the book’s title, and what does it signify for you? There is a section in the book where I find myself at the scene of a shooting: I’ve taken cover behind a dumpster and am lying in the mud, expecting to die. (I’ve got butterflies in my stomach just thinking about it). While people are screaming around me, their cries punctuated by gunshots, the sky remains a perfect blue. There’s a lot of looking at the sky in the book because I’m taken by how indifferent to our human struggles nature often remains. When it came time to name the book, I knew I needed the sky to be in the title somewhere. Chaos was another word that came to mind. I’ve had several working titles. I might be good at titles when it comes to short stories (it’s easier to encapsulate what happens in a short tale), but not so much when longer works are involved, contrarily to some authors like Evelina Galang whose amazing titles seem to come effortlessly. In the end, I had three options. I was a visiting professor in Santa Cruz de la Sierra at the time, and my students at the International University were excited to help with the final selection. It created the opportunity for an interesting conversation: What exactly should a title evoke? Some titles were too violent, others too vague. I’m glad we finally settled on A Sky the Color of Chaos. Q: In the book, you describe your own life, but you also include descriptions of what was happening in Haiti during that period. What did you see as the right balance between the personal and the political? A: To know me well is to know my story—the experiences that have shaped me, the trials and turning points that have tested me. People are inseparable from the place(s) they come from, the places they belong to, the places that molded them. To understand who I am, one must understand where I come from, what created me. 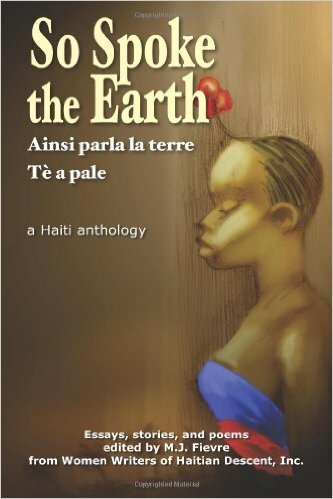 I couldn’t possibly write a memoir about growing up in the 90’s in Port-au-Prince, without rendering the events that took place in Haiti around that time. During the writing process, I first focused on the personal story and then worked into the prose the circumstances that made this story possible. Some of the political details were slowing down the narrative, however, so I resorted to using footnotes. I still believe footnotes constituted the best way to make it work. I only weaved into the story whatever could inform the text. In fact, my research was guided by my memories. For instance, as I remembered the shooting outside my middle school and the “journée de couleurs” that followed, I focused my research on this particular strip of time, and the political facts in turn impacted my work as I spliced images and motifs, all through the alchemy of writing and art. The balance between story and history came naturally. Q: What are some of the most common perceptions and misperceptions in the United States about Haiti? A: As an individual who’s lived both in Haiti and overseas, I am at a clear advantage: I can draw on my knowledge of Haitian culture and on my complex relationship with the island-nation to think about the country from both within and “without.” Not everyone, obviously, can have a realistic, balanced perspective if they haven’t lived in Haiti (although it should be noted that, in these post-Internet times, ignorance is a choice, not something unavoidable). I can only speak of the perceptions and misperceptions in South Florida, as this is where I’ve lived for the past 14 years. Many individuals I meet seem to believe that my people are hardworking and proud, that we’re loud and love a good party. After the earthquake, one word was used over and over by media outlets: resilience. 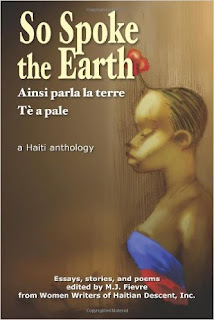 Thankfully, contemporary Haitian writers (such as Edwidge Danticat, Katia D. Ulysse, Marie-Ketsia Theodore-Pharel, and Fabienne Josaphat) are changing what the world thinks of Haiti. Their works illustrate the intersections of literature and social activism. A: I’m involved in many projects. I’m collaborating with another Miami-based writer and an Irish-American artist to create a graphic novel. I’m also writing a collection of dark tales about downtown Miami. A few essays are in the works, along with several poems for O, Miami Poetry Festival. I recently received an invitation from Poetry Press Week to unveil my unpublished poetry in front of an audience of editors during O, Miami 2016. During Poetry Press Week, the new poems are not presented by the authors themselves, but under their aesthetic direction, allowing them the freedom to design a multisensory experience of their work; past presenting poets have called on actors, dancers, musicians, video artists, and djs. By encouraging collaboration and bringing together the driving forces of literary production, Press Week hopes to revitalize the poetry publishing industry and revive popular interest in this art form. I will create and direct a 10 to 12 minute show, which I believe best embodies the work I'm presenting. I've submitted a series of poems in play format: a story about a love triangle titled Shadows of Hialeah. 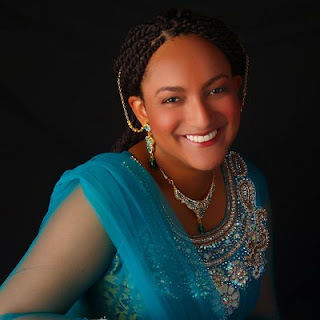 A: I’m honored to be featured on your blog! Readers can follow me on Facebook and on Twitter. My blog is located at thewhimsicalproject.com.